The Software may be distributed freely in its original unmodified and unregistered form. The distribution has to include all files of its original distribution. Distributors may not charge any money for it. 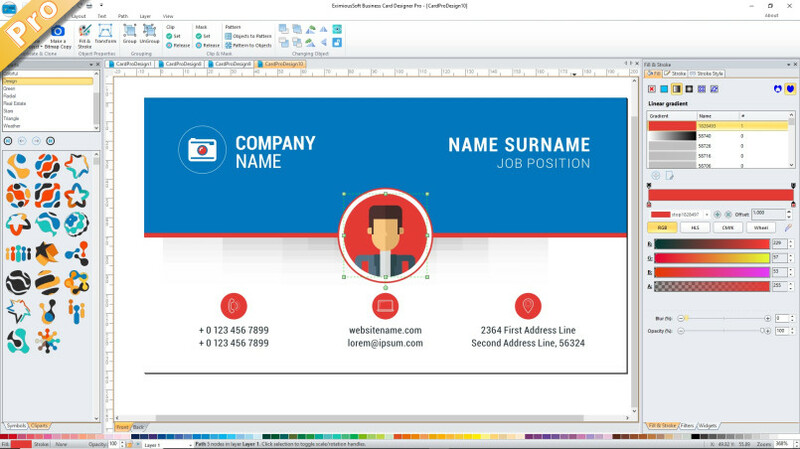 EximiousSoft Business Card Designer Pro 3.00 SOFTWARE LICENSE AGREEMENT NOTICE TO USER It is important that you read this document before using the enclosed software (the "Software"). By using the Software, you agree to be bound by the terms of this Agreement. This is a legal document between you (the "User") and EximiousSoft.